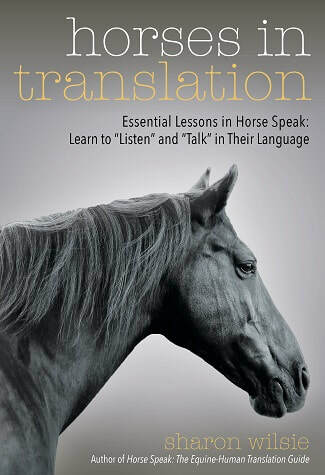 "Horse SPeak - Conversations with horses in their language"
Be you a horse-person or simply someone who loves animals, if you missed this event last year, don't miss it this year! Quite honestly, learning Sharon's visionary way of interacting with horses should be mandatory Step 1 before ever going near one. HANDS-ON PARTICIPANTS $100. * AUDITORS $50. * LUNCH is provided. 3:45pm Private half-hour sessions with Sharon - $75 each. PROCEEDS BENEFIT THE PONIES. ** We are most thankful to Sharon Wilsie and her generosity. THANK YOU! Limit of 10 hands-on participants, 20 auditors and 4 Private Sessions. Must be 12 and older to attend. Minors must be accompanied by an adult. *Tickets are non-refundable unless the event is cancelled by VPF. This is a fundraiser; thank you for understanding. PLEASE REGISTER. SIGN WAIVER now to save time at the clinic. Choose: Hands-on, Auditor, or 30 minute Private Lesson. ​Limit is 10 Hands-on participants*, 20 auditors, and 4 private sessions. *If an option is full, you will not be able to purchase it. Please sign required online waiver now to save time at the clinic. Choose from Drop-down menu: Hands-on. Auditor. Private lesson. ​Looking for overnight accommodations while attending the clinic? There are numerous lovely Inns in the area. Local Camping: Monadnock Mountain, 1 mile from the farm.